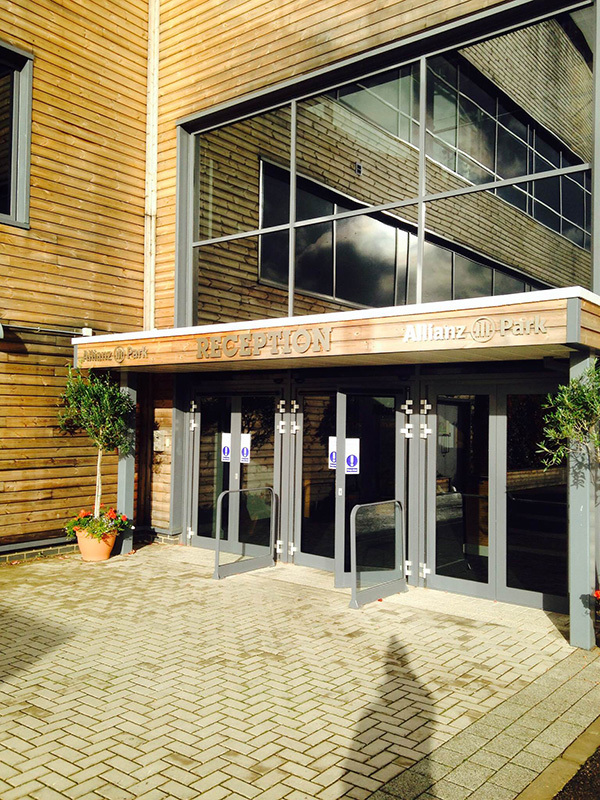 Allianz Park has been the home of Saracens Rugby Club since 2013 and provides an abundance of facilities for many different occasions including sporting events, conferences, exhibitions, social events and meetings. It is an award award winning venue, gaining recognition for their work in the Stadium Business Awards 2014. 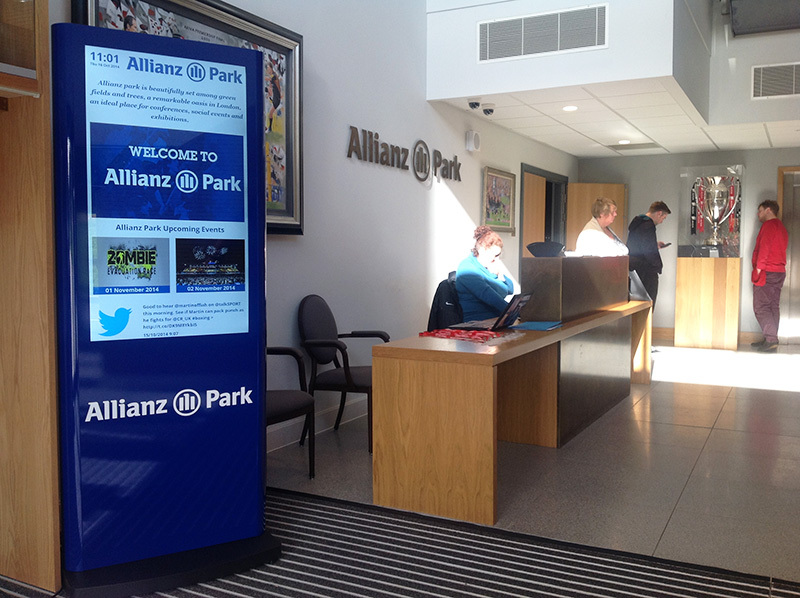 Allianz Park wanted a new way to communicate information about the variety of events being held at the venue to their customers. They saw digital signage as the best way to achieve this and wanted a system that was cloud based, full of features for content design and scheduling and they also wanted it to be extremely user friendly. Allianz Park specified that the displays would need to be branded to fit with the brand guidelines of the business and ideally be freestanding. 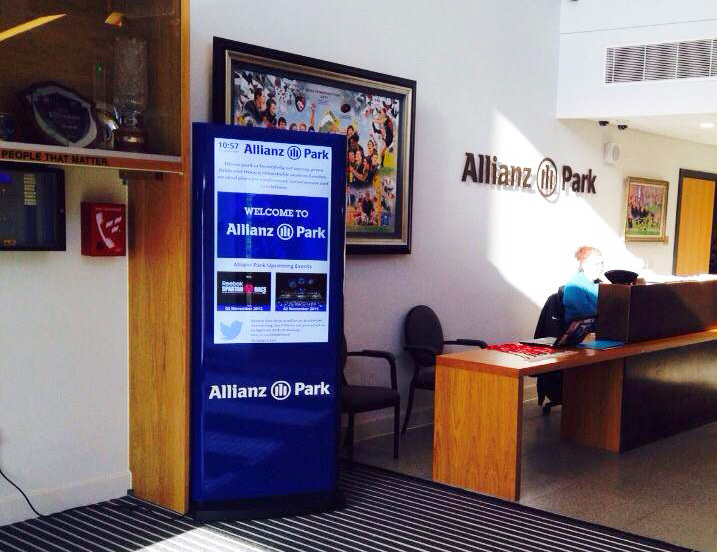 Eclipse Digital Media provided Allianz Park with a vinyl wrapped, 46″ Elonex Totem with an embedsignage Nexcom fanless digital signage media player. The digital signage software used to deliver content to the display is the cloud based digital signage software; embed signage and allows Allianz Park to create multi zone, multi media content with the ability to schedule content for different times of the day. 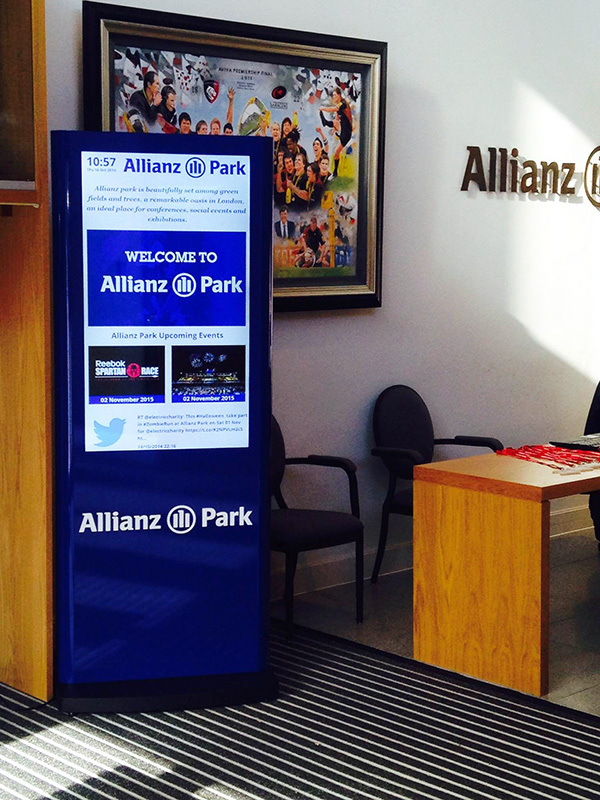 The solution provides Allianz Park with an easy to use and feature rich digital signage platform to meet their requirements for content design and scheduling. It also delivers an impactful branded display to showcase their variety of content on in an impressive, professional manner to their customers.